I'll never trust weather.com again. Not that I really did to begin with, considering they get the weather forecast for Pohang wrong about 98% of the time, and the other 2% they get right only because they pick the same weather from the day before. A day or so before we left I checked the weather report for Bohol, the island we chose to visit out of the Philippines' 7,000 or so, and before I could help it a feeling of dismay set in. I don't like being disappointed before I even depart on a trip, but in the split second before I could convince myself that rain wasn't such a big deal and that I could have fun in any weather condition (why did I even check the forecast, then? ), I saw two weeks' worth of tell-tale thundercloud and lightning bolt icons and 80% chances and my heart sank. That's the chance you take when you plan a big event, though, and I knew it and I couldn't be mad. Besides, we were scuba diving the first four days of the trip, and a little rain wouldn't hurt if we were already submerged underwater, right? And apart from diving I would sit under an umbrella on the beach getting shitfaced on pina coladas and san miguel and I would play cards with my friends and have a blast. We took the KTX to Seoul, Korea's high speed train system that runs slightly in excess of 300km/hr (186mph). It takes 1 1/2 hours to get to Seoul over a distance that a bus would cover in about 5. 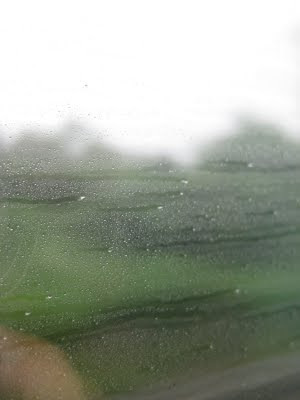 The rain droplets sped along the window like silent glass bullets. 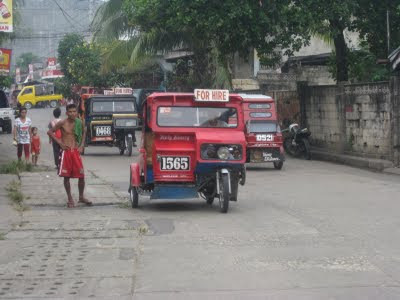 The cheapest flight into the Philippines was to Manila - and once in Manila, inter-island flights were super-cheap; $20. 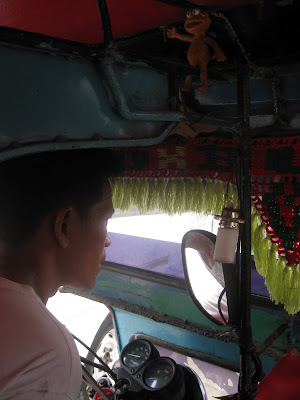 I had booked a connecting flight to Tagbilaran, the capital of Bohol, and a scenic 30 minute tuk-tuk ride from Alona Beach, our diving destination. There was only one travel hitch. You get what you pay for, and as it turned out we paid for a 6-hour layover in the Manila airport at midnight. I thought at the time that the airport would be deserted and Lisa and I could curl up on a padded bench and catch some shuteye until our 6am boarding time. Was that so unreasonable? Apparently the Ninoy Aquino International Airport is the place to be on a Tuesday night. Every Filipino and his mom was there, and they had taken every available inch on every available bench scattered throughout the terminal. Lisa and I curled up on the cold ceramic floor and after four hours and a fitful 25 minutes of sleep I saw airline attendants scurrying about the ticket booths and I figured we might as well check in. We arrived at Tagbilaran's tiny domestic airport at 7:30am under a sky of light wispy clouds and no trace of rain anywhere. Maybe the 80% applied to the afternoon. We got a bottle of the Philippines' beloved Tanduay Rum for the grand total of 50 pesos (1USD), a can of coke, and a motorcycle taxi (200 pesos) to Alona Beach. Half an hour later, tired but wired and quite tipsy, we left the remaining rum for our driver ("This is for AFTER work!") 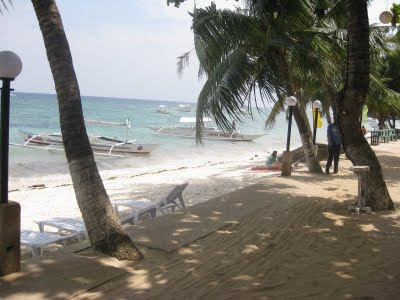 and skipped along the white sand beach under the clear blue sky to Oops! Bar.